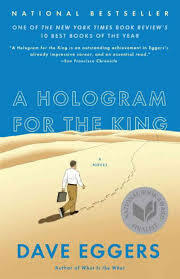 I read a terrific novel while I was on vacation: Dave Eggers’s Hologram for the King. Since I bought the paperback in the Newark Airport, Terminal C, which is the coldest waiting area I’ve ever experienced, it was good to read a book set in the blazing heat of Saudi Arabia. It also made a great trip book; it’s written in short sections that zip right along, perfect for reading on the fly, so to speak. Its considerable strengths lie in its deceptively simple, effective prose; its main character, Alan Clay, a modern day Willie Loman; and Egger’s brilliant use of King Abdullah’s future Economic City as the setting. I wasn’t sure King Abdullah’s Economic City actually exists. Its depiction in the novel is so absurd and fantastical that I wondered if it was fantasy. I googled it (remember when we used to say “researched”?) and learned that indeed, The Economic City is underway, estimated to cost $86 billion by the time it’s completed–perhaps–in 2020. As entertaining as it is, Hologram is also a serious novel about the global economy and America’s slipping place in it, viewed through the downward spiral of one middle-management male. Alan Clay is just about washed up: he can’t sell his house–no buyers; his marriage is a distant, dismal failure which nevertheless continues to haunt him; his daughter is about to drop out of college because he can’t pay her tuition; in short, he’s “virtually broke, nearly unemployed, the proprietor of a one-man consulting firm run out of his home office.” His tax return for the previous year (the book was published in 2012, and takes place in 2010) was $22,350, “an experience he hadn’t expected to have at his age” (54). You want your unit cost down, you manufacture in Asia, but pretty soon the suppliers don’t need you, do they? Teach a man to fish. Now the Chinese know how to fish, and ninety-nine percent of all bicycles are made there, in one province. 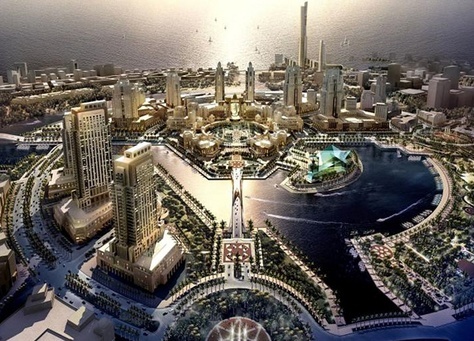 As the novel opens, Alan has a chance to redeem himself and his finances: he’s been hired as a consultant by Reliant to go to Saudi Arabia to pitch a holographic teleconference system to King Abdullah for his Economic City, which is under construction along the coast of the Red Sea. If Abdullah is impressed, he’ll award the IT contract for the entire city to Reliant, and Alan’s commission will fix him for life. Alan has to hire a driver to take him to King Abdullah’s Economic City when he oversleeps and is late for the first day of his assignment there. Yousef, his young driver, fears his car may be wired to explode by a husband who thinks Yousef is screwing his wife–an inauspicious but typical scenario for our anti-hero. They take off for the Economic City, with Alan telling lame jokes and Yousef playing Feetwood Mac on his ipod that “looked like it had been buried in the sand for centuries and then unearthed.” Alan is shocked that Yousef has never even been to the Economic City, which is supposed to be the biggest thing anywhere near Jeddah. But Yousef tells him the project is already dead. Alan is vaguely aware that there are detractors in Saudi and that Emaar, the global developer that built much of Dubai, is in trouble, but he insists that King Abdullah could build the whole city himself with his own money, and won’t let his legacy (and Alan’s future along with it) fail.
. . . a pastel-pink condominium, which was more or less finished but seemed empty. There was a two-story welcome center, vaguely Mediterranean in style, surrounded by fountains, most of which were dry. And there was a glass office building of about ten stories, squat and square and black. Alan’s team, consisting of three young people, has set up camp in the “presentation area,” a tent without air conditioning or Internet connection, making it impossible to give their presentation. They have no idea when the King might appear, and when Alan tries to find out, he’s constantly given the run-around. It makes waiting for Godot look like a minor delay in gratification. As the wait goes on, and on, and on, Alan occupies himself with trying to remove a cyst on the back on his neck, which he fears is cancer. His self-surgery will make you constantly feel the back of your own neck, hoping all is well there. He has intriguing and alarming encounters with various players in this surreal world, all the while reviewing key moments and memories from his life. The existential angst of his adventure in futility is so absorbing, compelling, entertaining and wrenching that I was completely hooked on the book. Alan is perfectly pitched, both as a struggling individual whose life has gone off track by virtue of his own mistakes, and also as an Everyman whose destiny is controlled by forces–economic, global–over which he has no control. I constantly admired how sure-footed Dave Eggers is with this material, with just the right, light touch and tone. He definitely transported me to a world I knew nothing about but became engrossed in. I came to care about a man whom I wouldn’t have thought would interest me much, thanks to Eggers’ unsentimental but compassionate characterization. And he tried to, but found he wasn’t ready. –I want this so much, he said. But they found themselves apologizing for various failures, for parts of their bodies that would not cooperate, or did so only intermittently. When he was ready, she was not, and this sent him shrinking. Still, they caressed each other desperately, clumsily, with diminishing returns. At one point, trying to move behind her, his elbow struck her forehead. It’s poignant, funny (to some people! ), and oh so human, capturing not only the moment, but something about Alan’s whole life at this point. 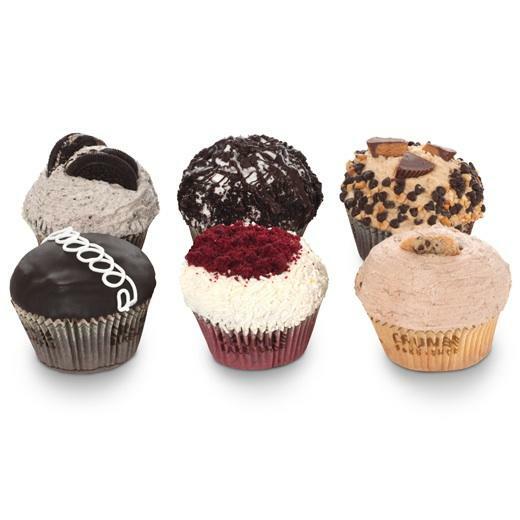 I highly recommend Hologram for the King, along with the cupcakes at Crumbs Bake Shop in Terminal C of the Newark airport, between Concourse C1 and C2. I’m not kidding! They’re delish! Buy a copy of Hologram, get a devil’s food cupcake, put on your jacket, and enjoy. Postscript #1: Dave Eggers has a short story that is great satire on a Silicon Valley social media company such as Facebook in the September 30 New York Times Magazine. If you’ve been neglecting your social media obligations (or just the reverse), this story, “We Like You So Much and Want to Know You Better,” is for you! The story is adapted from his new novel, The Circle, coming out this October. Eggers has written a number of extraordinary books, ranging over some of the most important and touching stories of our time: You Shall Know Our Velocity, about two friends who fly around the world trying to give away money; Zeitoun, the story of a Syrian immigrant who lands in New Orleans after Katrina; and What is the What: The Autobiography of Valentino Achak Deng, a novel based on the life of one of Sudan’s “Lost Boys” who settles in the U.S.
Postscript #2: Now that I’ve had my interest in Saudi Arabia raised, I’m eager to see a new movie, Wadjda, about a ten-year old Saudi girl who wants a bike. It’s getting rave reviews, and is directed by Haifaa al-Mansour, Saudi Arabia’s first female director! Wow. Here’s a fascinating interview with her. Has anybody seen Wadjad? What a fun review. I had thought this novel sounded good, and now definitely plan to read it. Thanks, Paulette. I'm just back from an extended "Big Chill" weekend with guys I've known over 45 years (one for 50). Alan sounds like a composite character of my three friends. As for me, this global economy story bears a striking parallel with Miranda's diatribe about Andie's light blue sweater in "The Devil Wears Prada." That is, whatever retirement funds we've amassed are at the complete mercy of powers unknown and unseen. Maybe that "one last commission" will set us up for the rest our lives, elusive as it may or may not be.